We are excited to have high level camps back on the campus of Fresno State. Our camps are located right in the Center of California’s wrestling hotbed the Central Valley. We will provide Quality clinicians and camp counselors. The teaching sessions will include all levels of collegiate-style wrestling. We will cover all aspects of wrestling from neutral, mat wrestling, strength and conditioning, and most importantly the mental aspect of being a competitive wrestler. 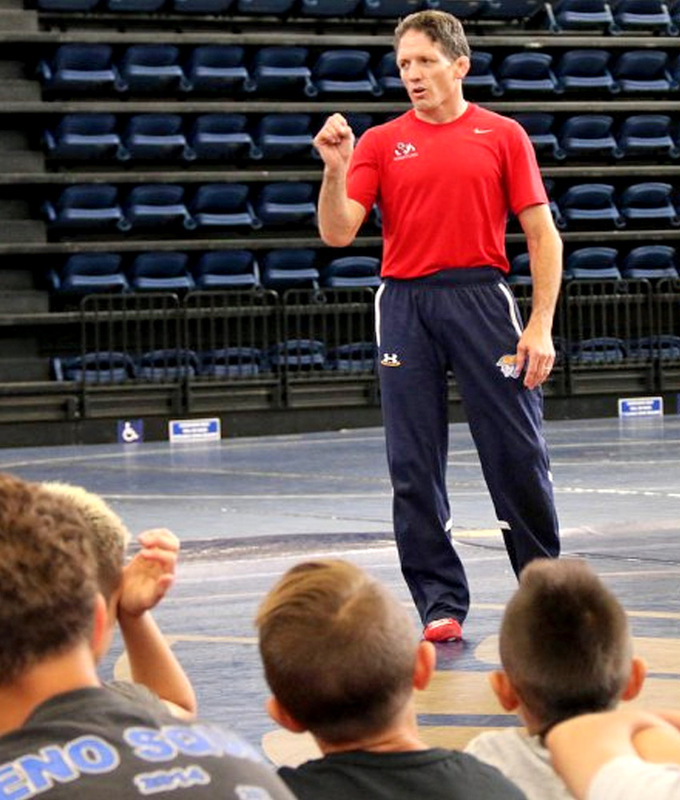 The technique camp will focus on fundamental skills and techniques that will make a wrestler successful. The camp will cover techniques from the neutral, top, and bottom positions of wrestling. Set ups for multiple attacks, and finishes will be shown from neutral. Top techniques such as leg riding, break downs, tilts, and pinning combinations will be taught from top. Stand ups, sit outs, and other techniques will be emphasized on bottom. The camp will include multiple clinicians that have different areas of expertise to maximize what wrestlers will be able to learn. Campers will also have daily competitions along with a takedown tournament at the end of the camp. Jr. Bulldog Commuter Camp focuses on the fundamentals of wrestling to ensure the wrestlers build a strong foundation in their development. It is an instructional clinic in a fun environment that gets the young wrestler excited about this great sport. Sessions will be taught by the Fresno State camp staff.